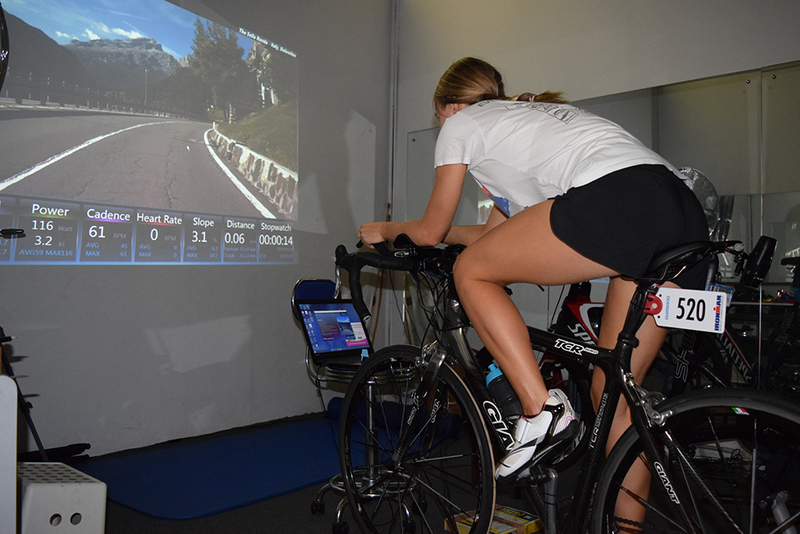 ActivFit has developed a state-of-the-art bicycle training and bicycle fitness assessment facility utilising the Tacx (Netherlands) showcase products. The Tacx Genius Ironman Smart represents the pinnacle of indoor bicycle training. This stationary training system is linked to a computer software training programme that drives a unique motor brake that provides an infinitely variable resistance to your bicycle wheel. The software drives a number of cycling environments. We have projected these images onto the studio wall to make it a real life experience. 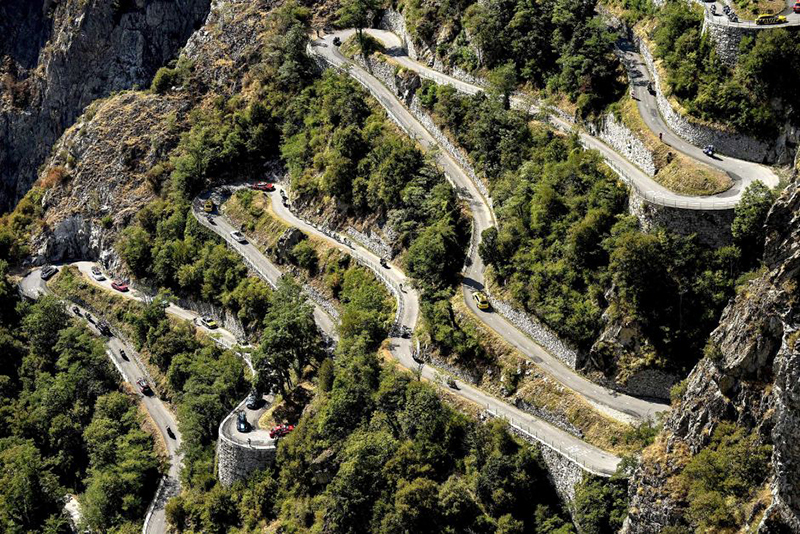 The Real Life environment plays HD quality DVDs of many famous cycle routes around the world and includes some of the most fearsome climbs of Tour de France and Giro d'Italia fame. 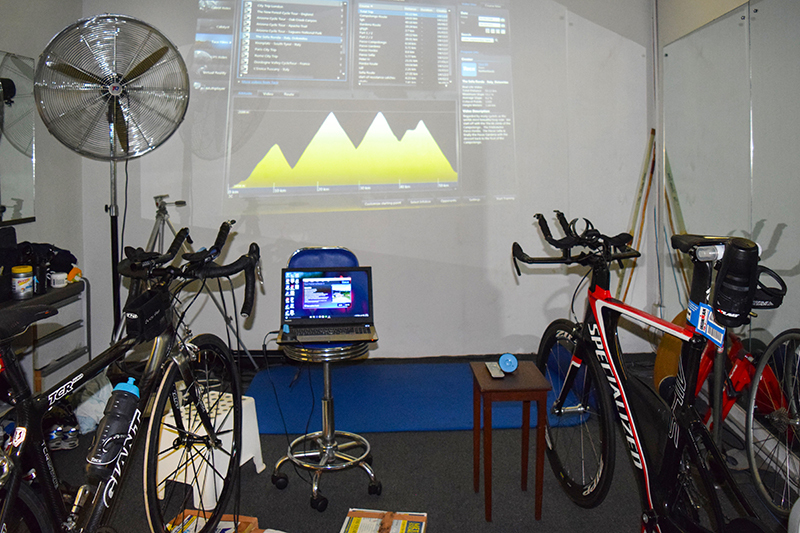 Your cycling effort drives the programme, as you cycle faster the DVD increases in speed. When you climb a hill, the motor brake increases the resistance to exactly match the gradient. When you descend a hill, the motor brake does the work for you, as in real life!! The Webracing and Lanracing environments put the rider in a virtual reality world where you can race anyone, anywhere in the world connected to the Tacx website. The Catalyst environment is a software programme for physical fitness tests and programmable training, where you can set % gradient, wattage and heart rate parameters, all presented on the big screen. There are 3 different screen options. Relevant training information includes heart rate, power output, pedaling cadence, speed, distance cycled and duration of effort are presented with the magnificent route scenery DVD. It is even possible to compete against up to 5 opponents. With all rides, the data is saved for analysis and comparison with future efforts. To make the ride a real life experience, we have created a base for the trainer that allows the natural side-to-side rocking that you feel on a bike, and we can create a natural headwind with a large fan, and manipulate the studio temperature to a desirable level (vital for Kona training!!). To further enhance the training effect and provide vital bicycle set up information, the rider can switch the on-screen picture between the Tacx DVD and a real time digital video camera of your position on the bicycle. This gives useful visual training of how your position changes when in or out of the saddle, going uphill or when fatigued. 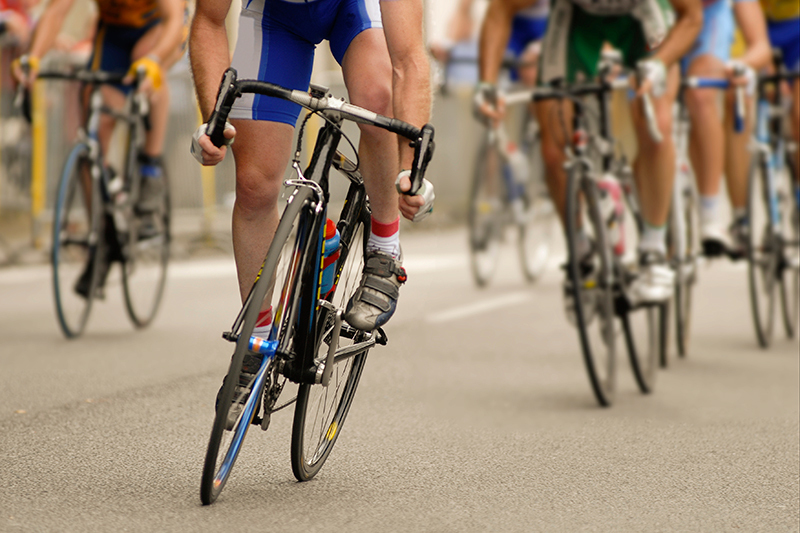 This can be used to provide clues to the best bicycle set up for you in various conditions. Combined with our physiotherapy knowledge, we can help solve difficult bike setup problems to relieve painful conditions. In addition, we have a Lactate Scout lactate monitor which is a useful tool to give feedback about your current lactate threshold, efficiency at various cadences and bicycle positions, and train your ability to recognize your perceived exertion during a bicycle effort. Passion and Innovation! Step into our training world.